Syed Sabir Pasha has done it. 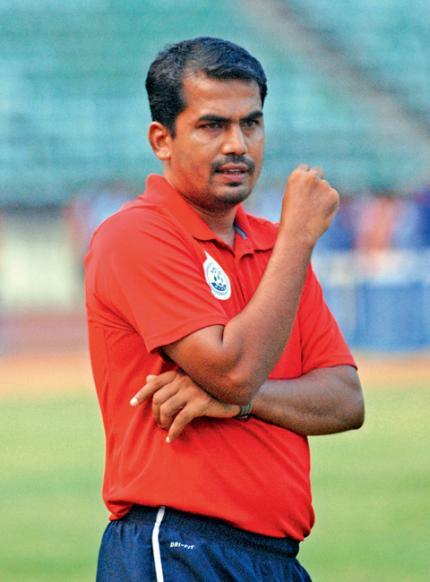 The former international has taken Tamil Nadu to the Santosh Trophy final in his maiden assignment as state coach. Right after being appointed Tamil Nadu coach, Sabir made his motivation clear to Deccan Chronicle. “The greatest regret of my playing career is not winning the Santosh Trophy. Now I have a chance to fill the void on my CV as coach. I will give it my best shot,” he said. When Tamil Nadu departed to Odisha 10 days ago, few would have believed that the team would reach the final. But Sabir’s boys defeated heavy odds and overcame the suspension of two key players to storm into the title round. They are now a step away from the Promised Land. Sabir was surprised by the performance of his charges. “Frankly speaking, I thought reaching the semifinals itself was an achievement. I feel all the teams we have faced so far — Delhi, Mizoram, Railways and Manipur — are stronger in terms of physicality and experience. But we kept fighting until the end. My boys always played for each other. They never lost the self-belief. I’m proud of them,” he added. The jubilant coach has asked his lion-hearted players to postpone their celebrations until Monday night. “We still have a job to do. I want my team not to be satisfied by reaching the final. Nobody remembers the runners-up. My players have an once-in-a-lifetime opportunity. By winning the Santosh Trophy for the first time, they will remain Tamil Nadu’s heroes forever. Optimism is coursing through this team now. Services are stronger on paper, but I believe anything is possible in the final. Our mantra is teamwork and I’m sure each one of my players is ready to give his all for the team’s cause on Monday,” he added. The coach’s happiness was tempered by the fact that right-back Edison would miss the final after he received a yellow — his second of the tournament, on Saturday. “Edison has been a key player for us. I would miss him against Services,” he said. Tamil Nadu Football Association president S.M. Seeni Mohaideen is over the moon. He hoped that TN’s heroic performance in Odisha would be a new chapter in the history of state football.